Jet City Improv was created in 1992 by Mike Christensen and Andrew McMasters. 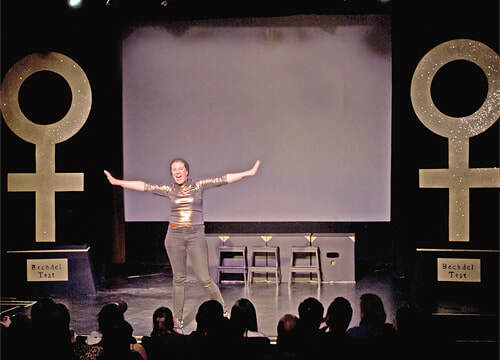 Over the past 22 years, it has produced over 75 long-form shows, over 3000 performances of its hit short-form improv show, and over 600 performances of its hit movie re-dubbing show Twisted Flicks. Bechdel Test was created and directed by Kate Drummond in 2018 and is returning to the JCI stage in March & April 2019. Bechdel Test stars Amanda Walker, Annika Wohlf, Aubree Wilson, Cailey Nickerson, Darshi Shary, Kathleen Swensen, Ktistine Ota, and Tara Pozo.